‘Design’, this word is originated from combination destruct and signature. So now what I want to talk about is …..
What is your image about this plant having with long chimney? What the lovely clouds like cotton sugar! What the strong red colors based on this building? What for?Is this for Santa Claus coming X-mas? Somebody have an idea what it is, already? This is the facility that is necessary one but people don’t want to put in my backyard. Right, this is a garbage incineration plant. When I saw this one, I could not hardly admire the vivid color and the idea beyond routine thinking. This was built in Gwangmyung-city located in just west outskirts of Seoul. Of course, this was not built in easily when the city declared the construction of it. The local residents severely protested against the construction of an incinerating facility due to NIMBY syndrome at first. So long time was needed to persuade the citizens. 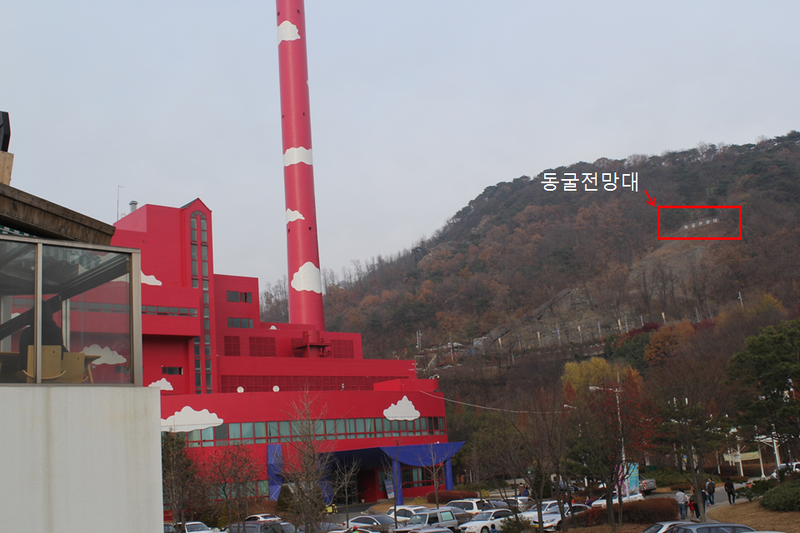 The outer of this building was re-colored again in JUN 2014 according to “Super graphic project of garbage incinerator” by collaboration with Gwangmyung-city and Youngse Kim(김영세) who is famous designer in world widely. This project had been pushed as the way for the change of conception about unpleasant facilities. Many examiners were against this design because red color was so shock in itself and said that it was beyond conception. But the major had positive interesting in this design and asked to them which one of these three designs on the list is mostly left in their head. Of course, they said "he impressive red one". Designer said “Why garbage incinerator should be built like a trash? Why not by the beautiful way? Why not? I want to be as a designer who makes even this plant beautiful. I express the dreams in white clouds on the basis of red containing passions and imagine this is the site where the clouds relating with the heaven are able to take a rest comfortably.” Now Gwangmyung-city has become the city where has pretty red plant and sense of art. Of course, many citizens who live in this city as well as neighboring cities visit and it has loved day by day. Thumbs-up!! Tip ; Can you see those letters (동굴전망대) written in Korean ? It has another idea of switching . I want to recommend highly this attractions. Don’t miss it. == How to get there; Take bus No 17 between Gaebong st(개봉역Seoul subway line 1, exit #1) and last stop of this bus to this mine. This bus goes via Cheolsan st(철산역subway line 7, exit 2 and opposite site of shopping mall 2001 Outlet) and via Gwangmyeong KTX station( point 7) also.